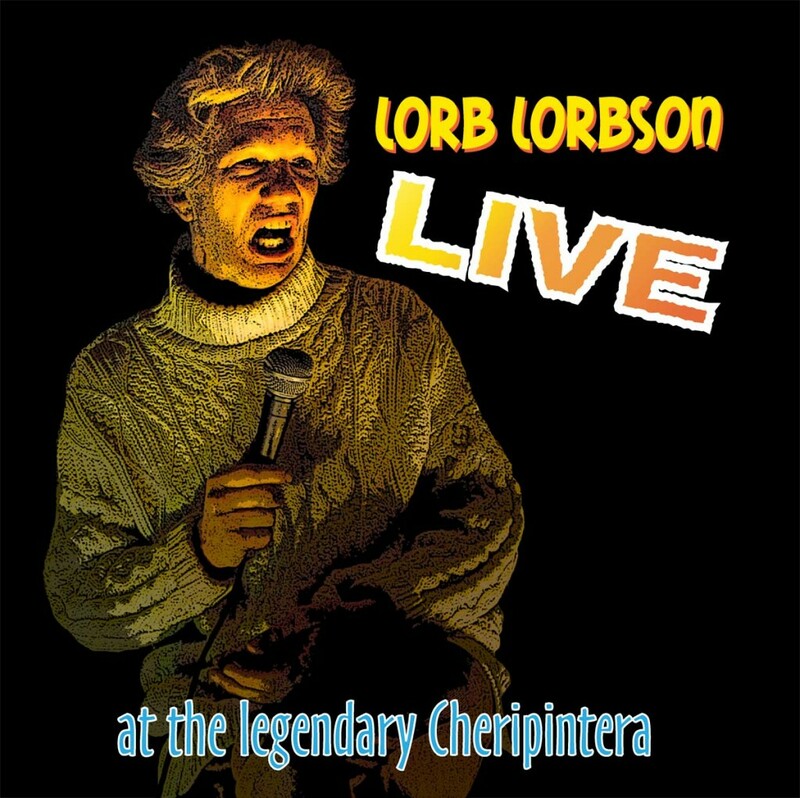 Available now: Concert t-shirts from the Legendary Performer Lorb Lorbson at the Legendary Venue the Cheripintera. You can now own a piece of history. Go to the Rhodesandrose store now and stock up!!! Steve Climber displays the incredible anti-gravity technology included in the groundbreaking new Flextrek pack. This pack is so advanced, even the Chinese don’t have anything that can touch it. Lean in to the new Gravitrex and let the pack do the work for you. This pack is so righteous, you’d have to be a fool not to want one. This video may explain why Stu Cranstence has so many issues about conferences. In the video shot earlier this year you can clearly hear the scientists, some female, actually laughing at Stu’s presentation. He attempts his “CW” seminar but something goes terribly wrong with his diagram and he bolts from the conference room with the laughter of the scientists ringing in his ears. Since then he has been very touchy on the subject of conferences, but has recently agreed to attend further conferences in the hopes of being taken seriously by the scientific community. Stu Cranstence, out in the field, doing the work, observing, making findings. 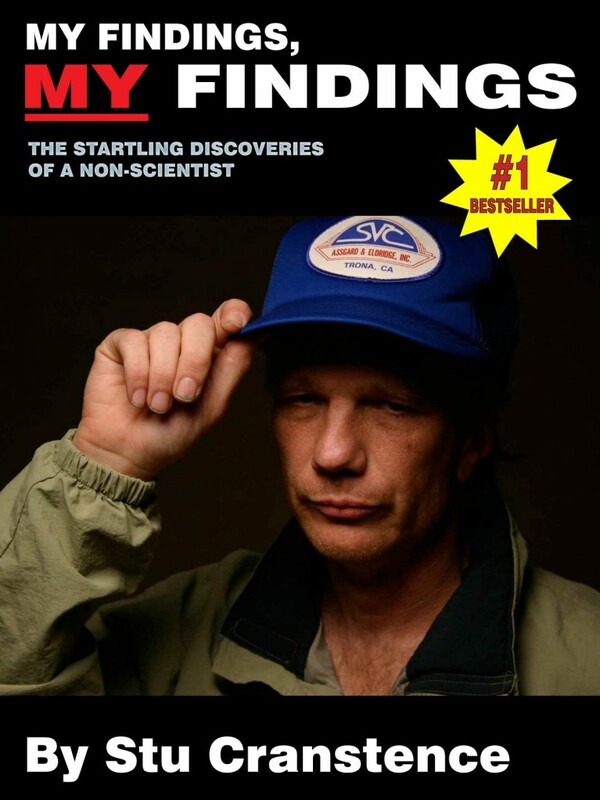 His trained eye picks out discoveries that everyone else has overlooked. Even while relieving himself, he takes the time to teach us about amphibious plants. Stu is willing to put in the time and make the observations, to find the surface findings within the perimeter. In this episode he lectures on the process of how gravity makes the surfaces of rocks hard and mocks the idea of going beyond the perimeter to look for findings . Noel Rhodes makes his chin go away! Noel Rhodes show off his amazing ability to make his chin go away. 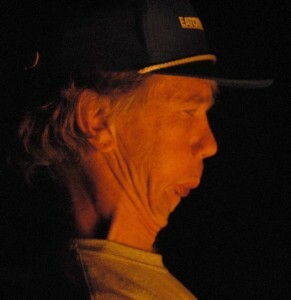 This incredible sequence was filmed by the light of a camp fire at the famous Camp Deal With It. ‘Camp Deal With It’ is our preferred filming spot which is at an undisclosed location in the desert between Tucson and Los Angeles. Ponder along with Noel about this crazy world. What a find!. Stu finds the skin of an ancient reptile and teaches all of us about reptiles, their feathers and their beaks. Stu steps where no human has ever stepped before and we are all very impressed. He also finds plants that were invented by people over a hundred years ago! He makes an incredible trajectory finding! In an emotional moment, Stu reveals his feelings about not being appreciated by the status quo. This video shows Stu Cranstence in action doing what he does best, finding findings!